Are you ready for the most versatile pad available on the market? The latest offering from Buff and Shine is an improvement on the recent trend of microfiber pad technology. Buff and Shine Uro-Fiber Pads are designed to fully maximise the detailing potential already seen in microfibre pads. There are several factors that make it amazingly versatile. First, the unique patent-pending design of the Uro-Fiber Pad starts with its shorter nap, which has a 25% lower pile than the traditional microfibre pad. Also, the black and white fibres are not just a colour gimmick, there are actually two different grades of microfibre stitched into this pad surface. The shorter nap and the blended fibres creates a pad that is truly all-in-one. You can cut, polish, and finish with this pad! (Although, it is recommended that you have one dedicated Uro-Fiber Pad for each paint perfection chemical that you use; one Uro-Fiber Pad for compound, one for polish, and one for final finishing). As if that is not enough, you will find that this pad also excels in durability because of the use of the finest materials, including the highest rated heat-resistant and chemical-resistant adhesives that hold the components of the pad together even under the most gruelling polishing sessions. And when you are done, just wash them and they're ready to use again! But wait, there's more! These pads come in an array of sizes so that they can be used with all of the newest polishing "toys" of all sizes. Sizes include (hook-and-loop side) 6", 5", 3", 2", and 1". 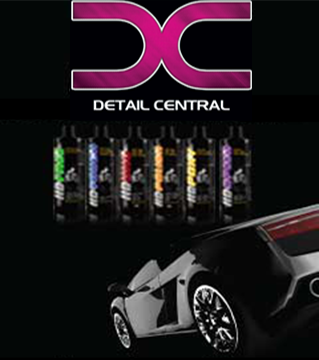 The short microfibre nap allows all steps in paint correction and perfection to be performed with one type of pad. These pads certainly live up to the description. Good amount of cut while being able to finish down great! Also a lot less heat buildup which is a real bonus. Highly recommended! Bought two of these pads. WOW! When used with FG400 polish they cut and they finish. The gloss is brilliant considering it is a cutting compound I am using. Might need a more aggressive polish for really bad cuts and scratches but otherwise saves time and great result. Better quality than another brand I used that cam apart at the foam. Absolutely love the way these cut and can also be used to do a final step. Just brilliant.